Where is Mitt Romney from? Mitt Romney may never have shown anyone his birth certificate, but that doesn’t mean much because it’s still hard to tell where this man is actually from. Romney’s unusual mannerisms give him the air of something not of this Earth, and his itinerant ways just add to the mystery. He was born in Michigan, and spent his childhood there while his father ran American Motors and started a political career. After that, things get confusing. 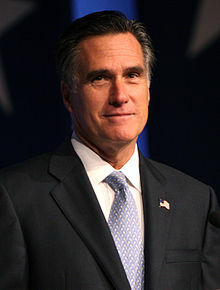 Mitt left the state of his birth to run the 2002 Winter Olympics in Salt Lake City, Utah, then became governor of Massachusetts. Then, after failing to ingratiate himself with Bay Statahs, he retreated to his lairs. The GOP Presidential Candidate currently has three homes: one each in Massachusetts, New Hampshire, and California. Obviously, that’s not unusual for a man as rich as Romney. It’s just strange that he doesn’t seem to prefer one domicile over the others. Only America could produce something as milquetoast as Willard Mitt Romney, but that still doesn’t answer the question of where his true home lies. Where will he go to vote in November? Maybe Mitt is too big for one state; with so much money, he can move about at will and still count on a steady flow of cash (not income, according to the tax codes) from his investments. He’s like the romantic loaners of folk songs and beat literature, except with perfectly coifed hair, an aversion to alcohol, drugs, and anything spontaneous, and a large, creepy family. Then again, what else would you expect from a man who comments on the height of trees?